Enjoy the snow just a stone's throw from Madrid. 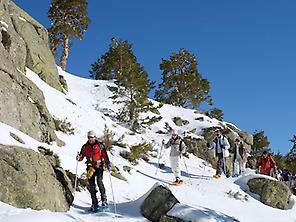 Skiing is one of the many alternatives available in Madrid. Have you ever thought about it? Take note, because just over an hour by car from the Spanish capital you will find three resorts where you can practise your favourite sport. Exchange the charms of the city for the pleasure of skiing for a few hours, and enjoy the beautiful landscapes that surround these resorts. 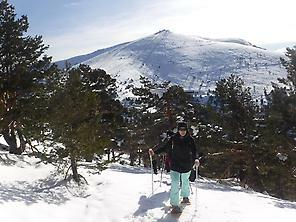 Don't miss the chance of an enjoyable day skiing at any one of the resorts close to Madrid. They have good communications and access, ideal for beginners and expert skiers alike, with pistes adapted to all levels. The plan is well worthwhile, because as well as skiing, you can also get to know the stunning countryside that surrounds the city. Make the most of the occasion. Get your skis ready, put your boots on, and head for the snowy slopes of these mountains in central Spain. The closest resort to Madrid is Puerto de Navacerrada, just 52 kilometres away on the A-6 motorway. It has a friendly, family atmosphere, along with almost 10 kilometres of pistes, many running through pine forest. The hardest runs are in the upper part of the resort, while in the lower area there are easier pistes, ideal if you are skiing for the first time. If snowboarding is your thing, then you are in luck - there is a piste here for boarders only. This resort is in the heart of the Madrid mountains. You can get there easily, even if you do not have a car - there are buses and regional rail services daily from Madrid. Not far from Navacerrada, beyond the Cotos pass, there is another interesting option: Valdesquí. Take advantage of its 22 kilometres of skiable area, with 27 quality pistes, most of which are fairly straightforward. This is also a good destination if your are taking the little ones. The resort offers an interesting package for children, including ski pass and equipment hire. The slopes and mountains of the region are covered in pine forest and offer picture-postcard beauty in the winter months - don't miss them. Access from Madrid is easy, both by road (bus or car) and using regional rail services. Meanwhile, 115 kilometres from Madrid, in the province of Segovia, you will find La Pinilla. One hour by car on the A-1 motorway takes you very close to the village of Riaza, and this area's largest resort, with 22 kilometres of pistes, most of which are red runs - fairly difficult. This is a quiet resort - not too busy but very lively. You will notice this as soon as you arrive. In the winter months, for example, you will find sporting events held here such as dog-sledging, snow-bike and snow-running races. As you can see, there is no excuse not to enjoy the snow in the Madrid region. Fun is guaranteed. What are you waiting for? 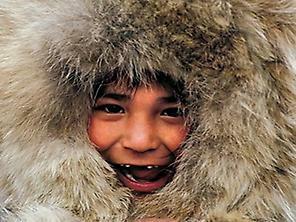 When I grow up, I want to be …an Eskimo!